Gustav Rehberger was born October 20, 1910 on a farm in Riedlingsdorf, Austria "with an abundance of animals and birds and all of nature's other wonders." He was the youngest of three children. From the tender age of two years old, Rehberger demonstrated an innate artistic ability; using up all the paper in the house drawing and scribbling on it. Gustav Rehberger's parents emigrated to America when he was just three years old. Gustav along with his brother and sister remained in Austria and were raised by Gustav's maternal grandparents. They would not see their parents again for over seven and a half years. The sudden departure of their parents in the middle of night deeply affected them. Rehberger started drawing when he was three years old. His older brother and sister took his drawings to school to show their teachers. When he started school two years later, his reputation had preceded him. His teachers would say, "Hier kommt der Meister," or here comes the Master. Gustav Rehberger's parents returned to Austria in 1920, after the end of WWI. They soon realized that young Gustav would have better opportunities in America. 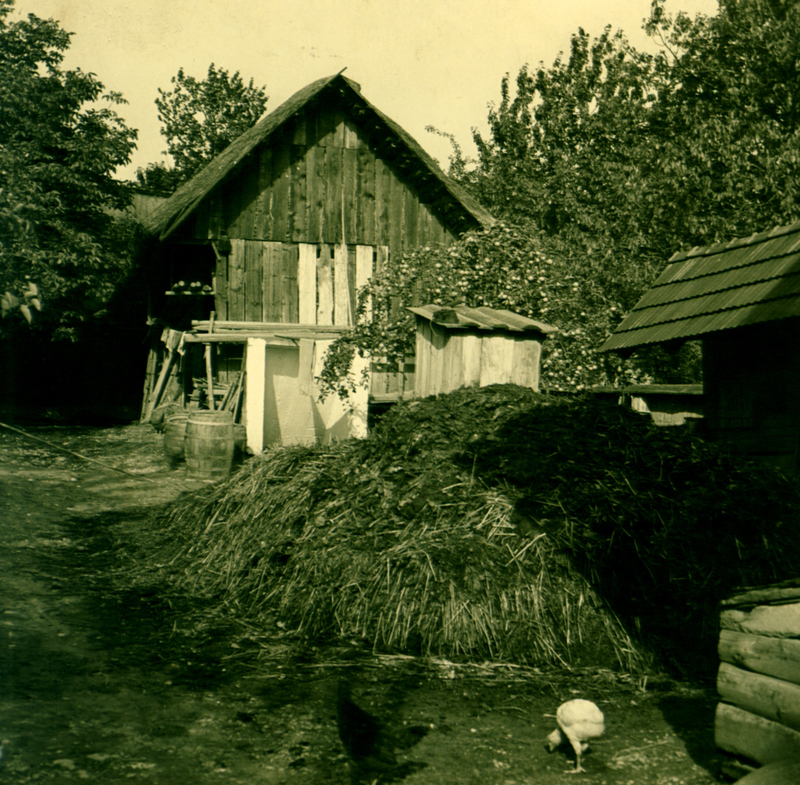 Rehberger loved to joke with his students about the manure heap next to the house he grew up in. He would often quip, “not bad for a whippersnapper who grew up next to a manure heap.” He never forgot his humble beginnings. The parents, along with their three children, sailed on the SS Munchen (Munich) and arrived at Ellis Island on the evening of July 2, 1923. When Gustav stepped off the boat he spoke no English, only German and Hungarian. The family then traveled by train and arrived in Chicago on the evening of July 3rd. The sight of the iconic Wrigley Building all lit up at night dazzled him and reminded him of a wedding cake. They stayed with relatives that night. On the morning of July 4th, he woke up startled by the loud noise of fireworks. His cousin explained the reason for the commotion. The excitement of his first day in America never left him. Every year at this time, he would say: "The Fourth of July is very special to me. This is the anniversary of my first day in America. Coming to America was the best thing that could happen to me." After only a year in Chicago, Gustav proudly won a spelling bee. Historical Note: In the 1920s, a married woman’s public identity was tied to her husband, and passports reflected that in only being issued to the husband, with his wife being a literal notation. Children under a certain age were also required to be on their father's passport. On October 2, 1993, Gustav Rehberger sat down with Janet Levine of the National Parks Service to share stories about his journey to America as part of the Oral History Program at the Ellis Island National Museum of Immigration. In the mid 1970's, despite being considered a pioneer in use of expressionism in American illustration and design, Rehberger ceased commercial and illustration work and focused on fine art. He describes his inspiration in this artist statement. "My great love for the horse dates back to my earliest childhood days on a farm in Riedlingsdorf, Austria with an abundance of animals and birds and all of nature's other wonders. I shall always remember a specific experience, when I was barely three years old, while playing, I put my arms around a white rocking horse, and at that instant, I felt a strong sense of security. That moment was the beginning of my love for the horse. While still a boy -- I lived through a major flood, a bursting dam, a deluge, storms, cyclones, twisters, wagons turned over, roof tops blown off and then a train wreck -- among other disasters. All of this left an indelible impression -- and inflexibly influenced my artistic expression. To my boyish mind, all the power and turbulence of the natural world was embodied in the horse, and since that time, the horse has never left my side--we had become one. And now today, I am the horse, and the horse is me--almost always intense, almost always in storm, many times apocalyptic, but always valiant. The horse is my inner strength, my spirit and turbulence, lashing out against a world, which is wearing blinders. The correlation of the noble spirit of art and music, remain the inspirational force that is the wellspring of my creativity."